Hey everyone, take a look inside my bog! 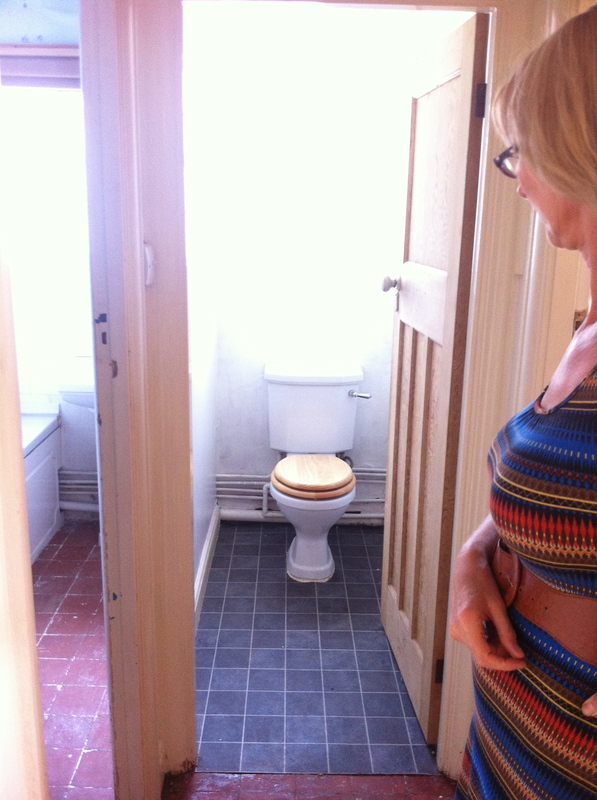 When we moved in the toilet room wasn't high on our list of concerns. The original plan was to knock the wall between the WC and bathroom down and create one larger bathroom. However, when we went about getting that done we were asked to pay an additional £500 to get a structural surveyor out to give us the 'all clear', even though we knew it would be ok as other owners in our black had done the same. At the time we just couldn't afford to add another £500 to the budget (looking back, I wish we had just found the money somehow as thinking about having to go back and do it is so long), so instead of going with plan A, we instead decided to create an awesome feature WC room. As you can see there was a strange section of lino, exposed pipes, badly whitewashed walls and a single bulb for lighting. It was cold and lifeless. I knew from the start I wanted to go for an all black box with features on some great art and cool objects that showcased our personality and style. I was inspired by the way galleries and book shops displayed books, postcards and art in interesting ways. We have a few really cool coffee table art books that can end up just sitting on our bookshelves without being admired, so I wanted a way to showcase the books, where people may pick them up and take a quick look whilst doing the business! 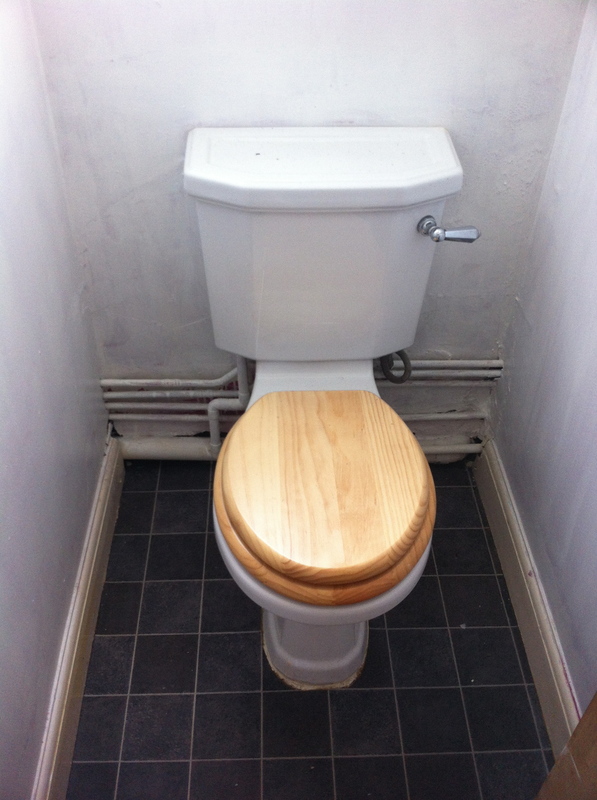 - Kept the original toilet as was in good condition after a cleanup! We hired in a builder to do the ceiling, lighting, plasterwork and boxing in and then we did the decorative bits. This was an all-in price combined with our bathroom so it's hard to remember exactly how much it cost, but I would estimate about £500. That's a bit of a rough guess though so please don't quote me! I'm so pleased with this room. It still needs some fitted blinds and the windows need to be cleaned up a bit as there are a few paint smudges but in general we're happy! Every time we have a guest over they ALWAYS comment on this room. The door is usually closed so you can't see from the hallway how it looks until you open the door, so I think to most people it's a nice surprise! The long term plan is still to knock that wall through and make a larger bathroom, but for now I'm pleased. What do you think of the dark toilet room, would you dare to go all black?